Between 1861 and 1865, the clash of the greatest armies the Western hemisphere had ever seen turned small towns, little-known streams, and obscure meadows in the American countryside into names we will always remember. In those great battles, those streams ran red with blood - and the United States was truly born. 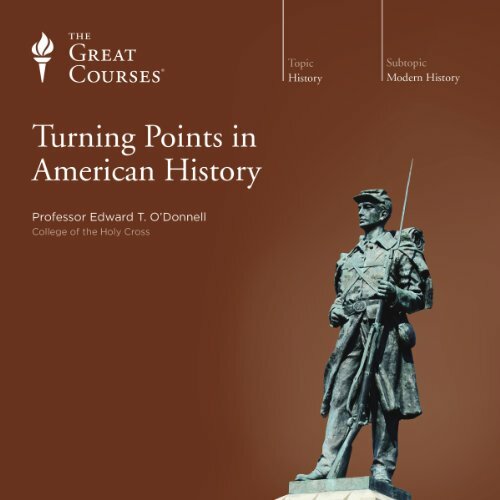 If you've ever wanted to understand the Civil War, this series of 48 startlingly evocative lectures by a leading Civil War historian can serve as both an ideal single course or a solid starting point for further exploration - a richly detailed examination of how this great conflict affected every person in America. For you'll gain not only a deep knowledge of what happened, but new insights into why. You'll learn how both sides' armies were recruited, equipped, and trained, and about the hard lot of those they took prisoner. 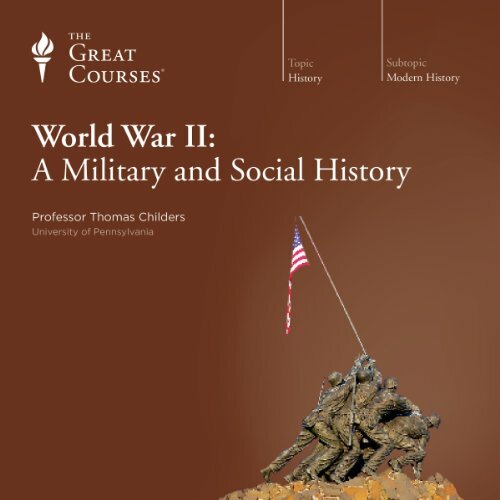 You'll hear how soldiers on each of those sides dealt with the rigors of camp life, campaigns, and the terror of combat. And you'll understand how slaves and their falling masters responded to the advancing war, as well as the desperate price paid by the families so many left behind. 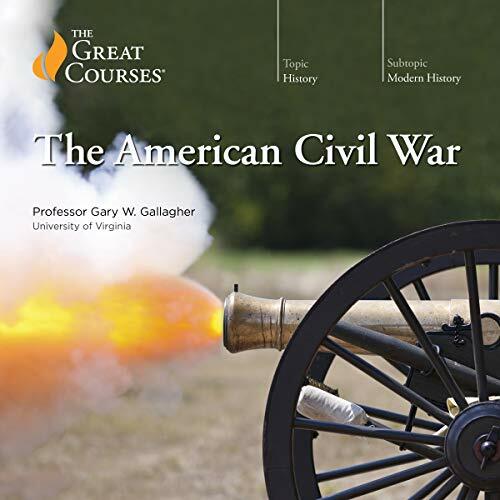 Though this series of lectures goes far beyond a simple examination of battles and generals, it also offers detailed analyses of the strategic and tactical dimensions of the Civil War's most important campaigns. At the same time, it never forgets that the conflict involved far more than pins on a map - and indeed claimed a greater cost in human lives than all other American wars combined. To take a skeptical approach to American history is not to dabble in imaginative conspiracy theories; rather, it's to reframe your understanding of this great nation's past and actually strengthen your appreciation for what makes American history such a fascinating chapter in the larger story of Western civilization. And in this bold 24-lecture series, you can do just that. 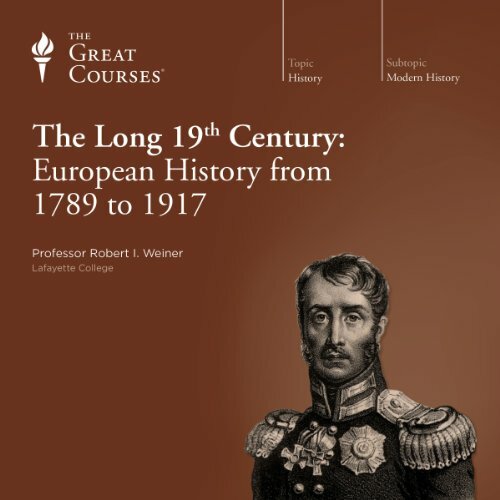 This lecture series takes you on a far-reaching journey around the globe - from China to the Americas to New Zealand - to shed light on how two dozen of the top discoveries, inventions, political upheavals, and ideas since 1400 have shaped the modern world. In just 24 thought-provoking lectures, you'll get the amazing story of how life as we know it developed. 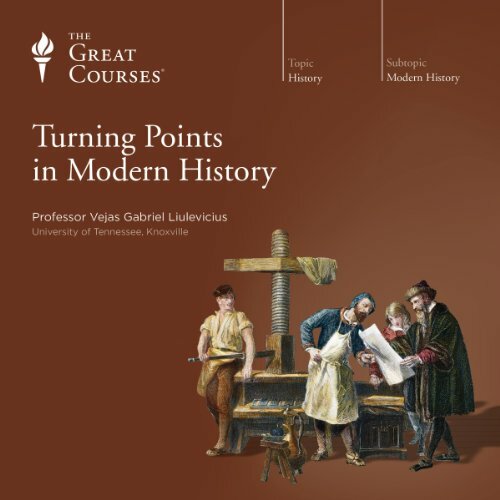 Starting in the early 15th century and culminating in the age of social media, you'll encounter astounding threads that weave through the centuries, joining these turning points in ways that may come as a revelation. 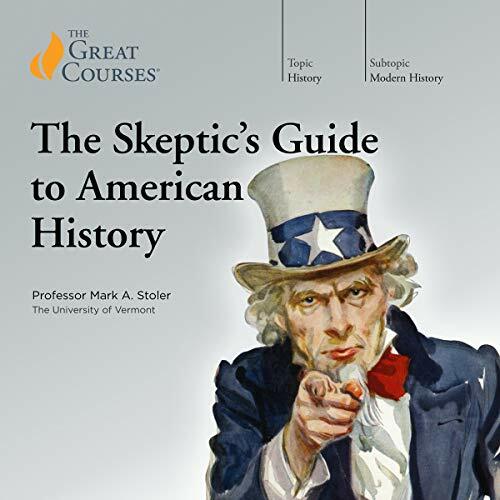 These 48 lectures are your chance to relive the most groundbreaking moments in the fascinating story of the United States. They offer you a different perspective on the sweeping narrative of U.S. history. Spanning the arrival of the first English colonists to the chaos of the Civil War to the birth of the computer age and beyond, this lecture series is a captivating and comprehensive tour of those particular moments in the story of America, after which the nation would never be the same again. 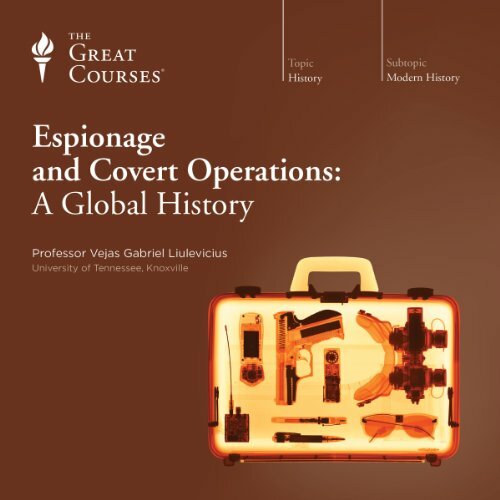 Step into the real world of the spy with this detailed and unforgettable tour of the millennia-long history and enduring legacy of espionage and covert operations. While most of us associate this top-secret subject with popular fiction and film, its true story is more fascinating, surprising, and important than you could possibly imagine. These 24 thrilling lectures survey how world powers have attempted to work in the shadows to gain secret information or subvert enemies behind the scenes. Know thy enemy. That's what the wisdom of history teaches us. And Adolf Hitler was surely the greatest enemy ever faced by modern civilization. 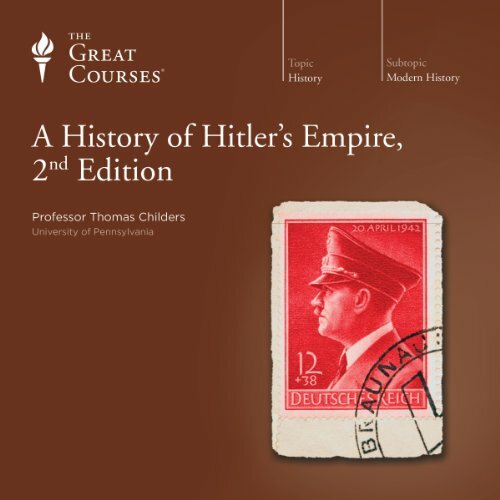 Over half a century later, the horror, fascination, and questions still linger: How could a man like Hitler and a movement like Nazism come to power in 20th-century Germany – an industrially developed country with a highly educated population? How were the Nazis able to establish the foundations of a totalitarian regime in such a short time and hurl all of Europe – and the world – into a devastating war that would consume so many millions of lives? 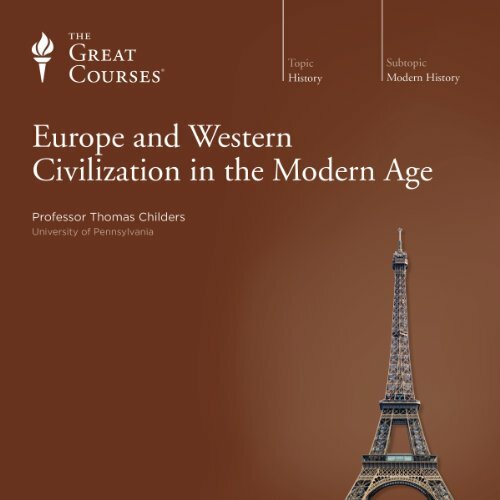 Professor Childers has designed this gripping 12-lecture course to shed light on these and other questions that have plagued generations. Only three lifetimes ago, Europe was a farming society ruled by families of monarchs. But with two seismic tremors - capitalism and democracy - Europe's economic and royal foundations were shattered forever and modern European history began.In this series of 48 fascinating lectures, Professor Childers makes the history of Europe from the 1750s to the present - events both horrible and magnificent - as immediate as today's headlines, employing the historian's craft and a storyteller's skill to find the causes of what otherwise could seem to be the march of folly. Oh my, where do I begin? A fantastic listen. 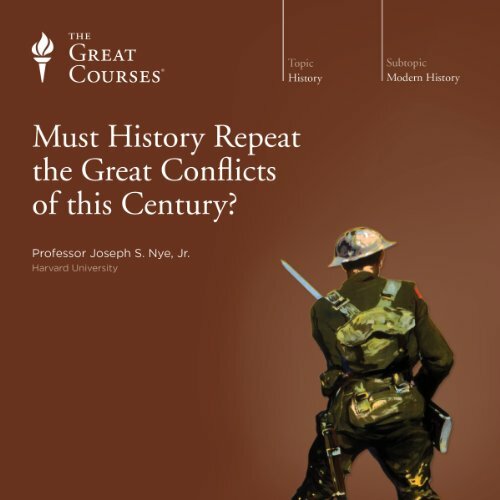 Must History Repeat the Great Conflicts of This Century? 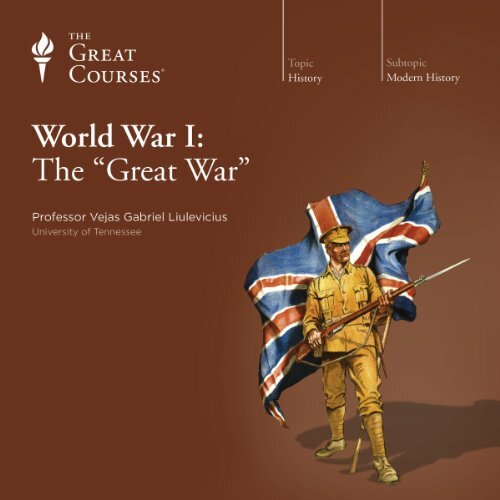 Narrated by: Joseph S. Nye Jr.
Twice in the first half of the last century, the great powers engaged in wars that killed nearly 70 million people, with the aftermath of each shaking the international political system, changing the maps of the world, and setting the scene for the next great conflict. 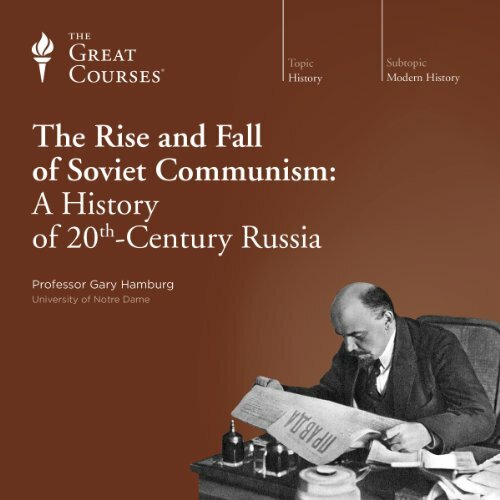 And for most of the past 50 years, the Cold War dominated international politics. Is this the history we are condemned to repeat? 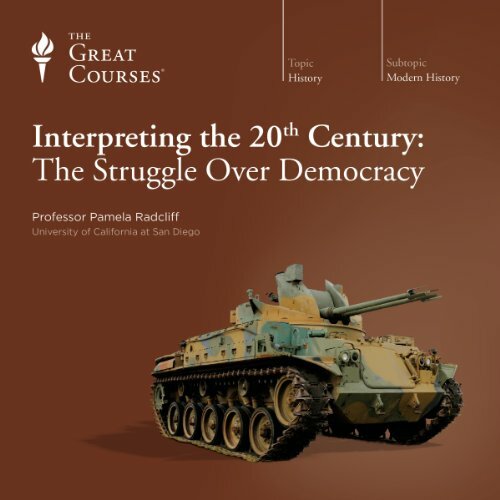 This series of eight lectures about international politics will hone your ability to approach that question with knowledge and insight. Abraham Lincoln was one of America's greatest public orators. 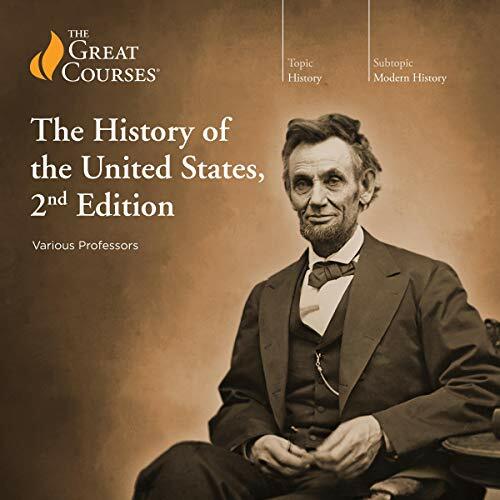 The cadence, argument and power he brought to his speeches, like those of the Gettysburg address almost every American learns in school, still stir the hearts of not only Americans, but countless millions around the world. 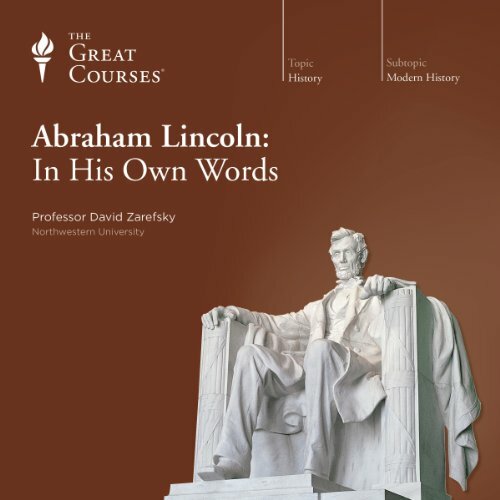 This series of 24 lectures examines Lincoln's rhetoric - the public messages in which he evolved his views on slavery and the preservation of the Union and by which he sought to persuade others. Recent years have seen an explosion of interest in and interpretation of the U.S. Constitution. Its authority and stature are routinely invoked by voices from every point on the political spectrum, with frequent references to the Founding Fathers and their true "intent." What really was their true intent? 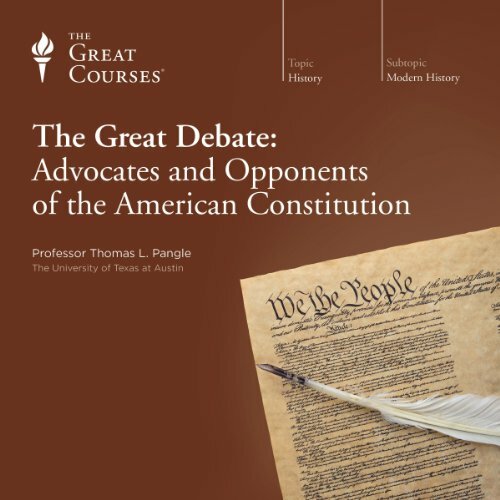 As these 12 surprising lectures show, many of those Founding Fathers-including Thomas Jefferson and Patrick Henry-were highly critical of the new Constitution and staunchly opposed it when it was first put forth for ratification by the states as a replacement for the Articles of Confederation. The construction of the great pyramids of Egypt, the development of democracy in ancient Greece, the glories of ancient Rome-these stories are familiar to students of history. But what about the rest of the world? 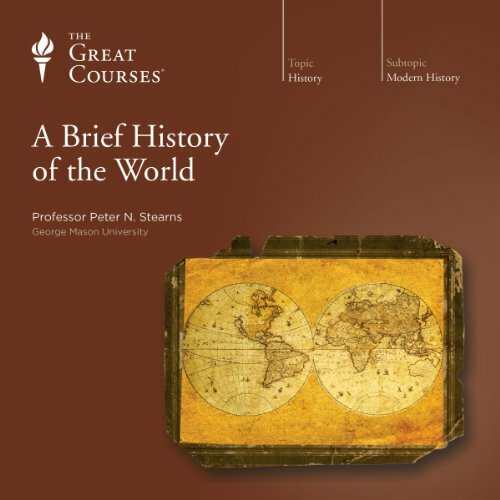 How do the histories of China and Japan, or Russia, India, and the remote territories of Sub-Saharan Africa and South America fit in with commonly known accounts of Western traditions?Learn the rest of the story with these 36 riveting lectures that survey the expanse of human development and civilization across the globe. 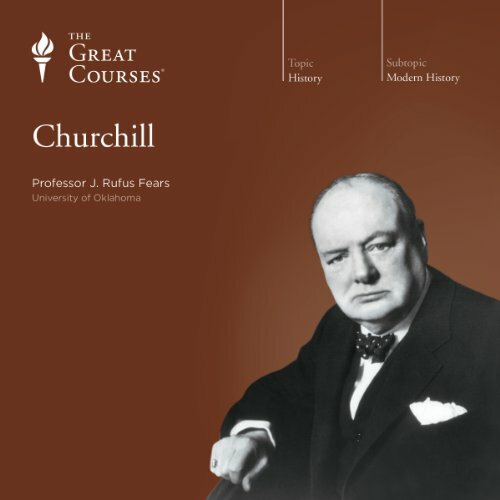 Consider the intense and rapid changes that transformed the political, social, and economic struggles of the world during the 20th century: the first flight and space flight, the Manhattan Project and the Welfare State, Nietzsche and Freud, the Great Depression and inflation, moving pictures and home computers, the Cold War and terrorism - and war and peace. Philosophical differences aside, well worth it! The creation of the executive branch of government was one of the most audacious decisions in American history. 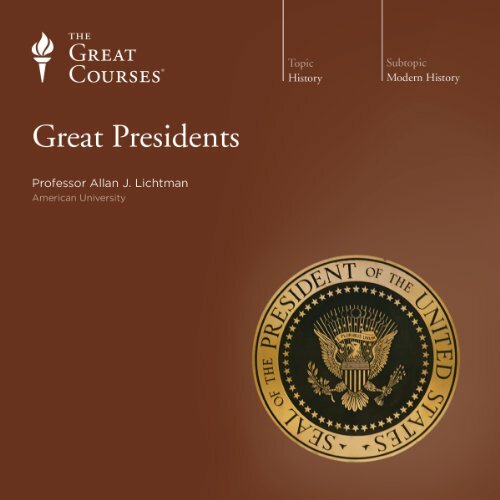 The story of our greatest presidents create a narrative as compelling as an historical novel, and these 48 compelling lectures look at the lives, the achievements, and the legacies of those generally considered our 12 greatest presidents: George Washington, Thomas Jefferson, Andrew Jackson, James K. Polk, Abraham Lincoln, Theodore Roosevelt, Woodrow Wilson, Franklin D. Roosevelt, Harry S. Truman, John F. Kennedy, Lyndon B. Johnson, and Ronald Reagan. These 24 lectures present a wide-ranging intellectual exploration of this iconic scientist, genius, and champion of social justice. 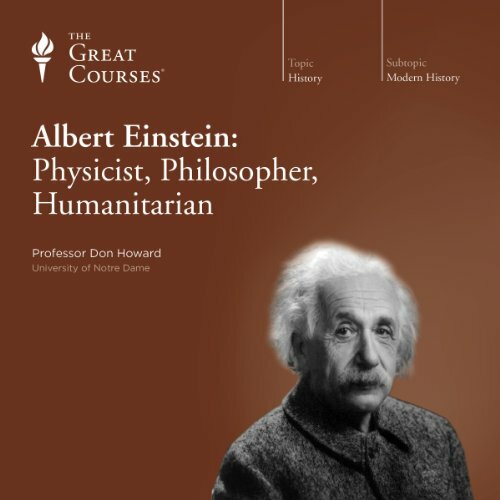 More than just a biography of Einstein's life, Albert Einstein provides you with an inside look at how this brilliant thinker arrived at his various revolutionary breakthroughs.